Not in Canada but still want to watch Kitten Rescuers? 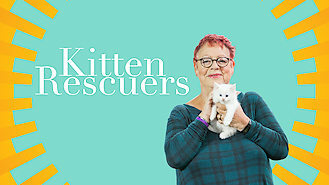 Cat-crazy host Jo Brand follows vets and animal welfare officers who take on daring rescues to save furry felines subjected to different cat-astrophes. From four-story falls to life-threatening illnesses, these four-pawed friends get a second chance to live their nine lives.